What’s the 3rd most important job of a Founding CEO? I’ve been thinking a lot lately about some common themes I have heard from some of my coaching clients as well as members of our Trail Team 10 group. One theme sticks out in my mind. And, it’s captured by a quote from Samuel Johnson, the 18th century English writer. It’s a powerful thought. Don’t you think? I’ve been reading “The Founder’s Mentality: How to overcome the predictable crises of growth,” written by Chris Zook and James Allen. I think Samuel Adams would agree with Messrs Zook and Allen. Their research suggests that companies shift through predictable stages of growth. They must combat “overload,” reverse “stall-out,” and stop “free fall.” How does a growing company effectively do this? The authors contend that returning to the “founder’s mentality” is the secret sauce. As the Founder & CEO of your company, nothing replaces your emotional energy around your compelling reason for starting the company. 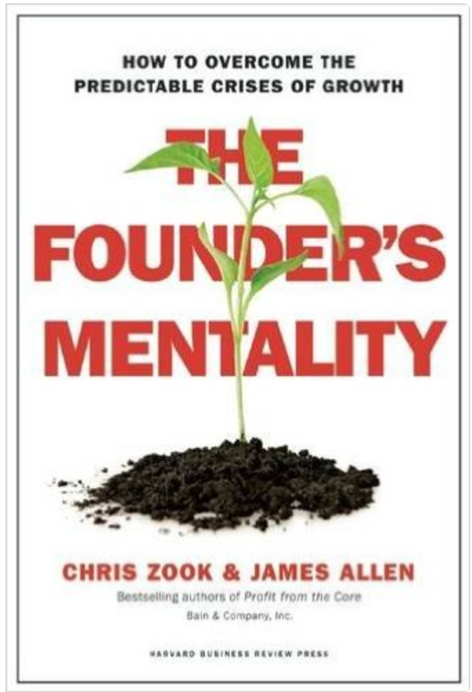 That’s why Zook and Allen suggest companies that no longer have their Founder, at least adopt the traits and mentality of the Founder. I think this is very instructive for you, the Founder & CEO, as you continue to scale yourself as the leader of the company you started. There is something you can do that can significantly help your team and your company continue to prosper. Remind them. Remind them of your personal and emotional energy around the mission. Remind them why you do what you do. Remind them why they agreed to join you on your company’s journey. Remind them why they were selected to join your team’s mission. Remind them why your obsession with your customers is so acute. Remind them of your single, solitary, clear, unambiguous, and simple reason for being. This has been a consistent theme I have also been hearing from the members of Trail Team 10. They have found their team members wanting to hear from them more often. They have found great energy and results around spending a bit more time with them in dialogue about the mission and the vision. They are finding that their team need to be reminded of their reason for being more often than they have calculated in their mind. I think they are discovering what Samuel Johnson knew and what Zook and Allen took 214 pages to explain. I have previously written in this blog that the first job of a Founder & CEO is to take care of yourself: mind, body, and spirit. I have also written that your second most important responsibility is to constantly seek clarity about your mission, your customers, and your team. So, what is your third most important responsibility? Constantly remind, reconnect, and communicate your mission with your team. Just when you think you have spent enough time with your team on this, it isn’t even scratching the surface. Humans get forgetful. We get distracted. We get busy. We get tired. We get mired in details. We get caught up in complexity. We get overwhelmed. We stall. Your people need to hear from you more often than you probably know. How that is done often requires creativity, variety, and the skillful use of questions. But, they need to hear from you, nonetheless. Do you communicate with your team enough?